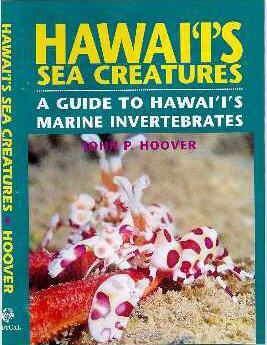 This chromodorid, sometimes called the Kangaroo Nudibranch because of its long heavy tail, is larger than most other Hawaiian species of Chromodoris and occasionally hosts the small commensal shrimp Periclimenes imperator. 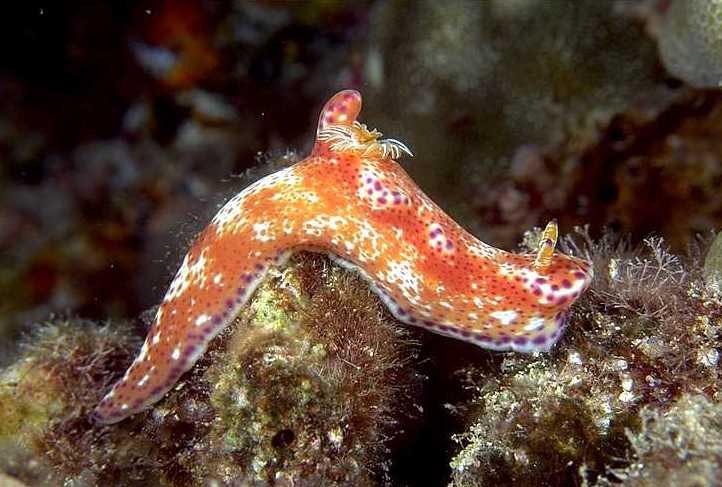 Orange-gold or brownish orange mottled with white, it has purple spots distributed about its body and one at the tip of each rhinophore. A fleshy projection rises behind the gills; the tail, equal in length to the rest of the body, trails behind. Ceratosoma cornigerum is a synonym. To at least 3 in., probably larger. Indo-Pacific. Photo: Halona Blowhole, O`ahu. 60 ft.